After receiving her Bachelor’s of Arts in Sociology in 1986 from Augusta College in Augusta, Georgia, Ms. Merchant had a strong desired to help people and impact lives. In following her dreams, she obtained her Bachelor’s of Science in Nursing in 1992 and worked as an emergency department nurse for the Level 1 Trauma Center at the Medical College of Georgia. 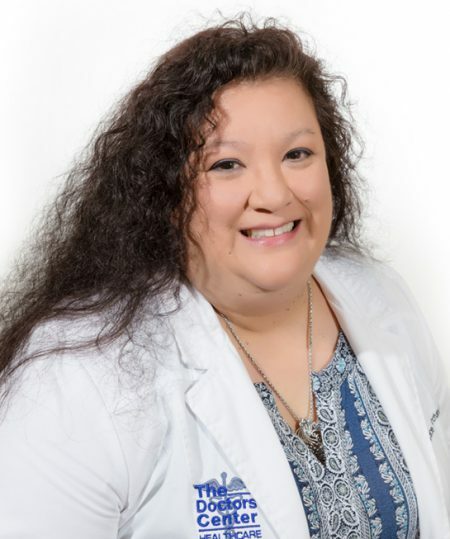 There, her interest in primary care grew and she entered the Medical College of Georgia’s Family Nurse Practitioner program in an effort to help patients attain proper wellness and reduce emergency room visits and hospitalizations. In late 2008, Ms. Merchant joined The Doctors Center. She enjoys life with her husband and children. As a nurse practitioner Ms. Merchant helps patients participate in their wellness journey with a strong focus on women’s and family health. She is active in her church and enjoys singing, reading, needlework (not just suturing) and furniture refinishing during her free time.